Every Saturday, a wide array of people descend upon the bustling open-air market at Kruisstraat, Eindhoven. It's a busy and extensive marketplace, and everyone who goes there is sure to find what they want. Shopping there is always very satisfying because everything is affordable and the stall owners are super friendly, whether you're in a buying mood or just browsing. 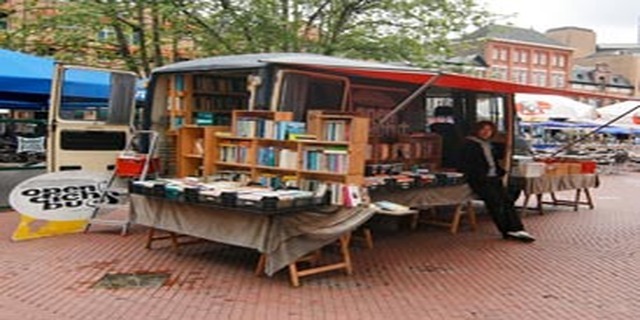 You'll find Indonesian, African, Arabic, Turkish and Dutch people buying or selling their wares. And what's on offer? Well, there's a range of local cheeses, candles, flowers, household products, meat and fish, as well as clothes, jewellery to hand-crafted products. The locals know the Kruisstraat Woenselsemarkt as a convenient place to pick up shoes, watch batteries and even bicycle parts! Parking is hardly an issue as many adjacent streets and neighbourhoods offer ample space for your car. But with the weather warming up, why not hop on your bike, or take advantage of how close the market is to the central station, and enjoy the little stroll leading to the market? You're sure to walk away with something delicious or at the very least, a big smile. How do you book a stall at this market?